This Spicy Grapefruit Margarita is the perfect spicy cocktail for sipping on summer days! It seems really easy to come up with a good reason to have a cocktail, right? I’m going to give you a few more reason to delight in this particular cocktail – It’s super easy to make, it’s spicy and it’s totally refreshing! It’s a Spicy Grapefruit Margarita. This recipe skips the time consuming step of infusing the tequila with habanero. Instead, all of the heat comes from a delicious simple syrup that comes together easily in 10 minutes. Just add a bit of it to a cocktail shaker along with the tequila, grapefruit juice and a splash of triple sec. Rim your glass with some salt (I LOVE using these easy to make citrus salts), pour out your concoction, top it with some extra ice and you are good to go! No fancy ingredients, no time consuming steps, no excuses NOT to make this delicious Spicy Grapefruit Margarita. The finished habanero syrup will keep, refrigerated, for about 2 weeks. Try using it in any cocktail that calls for simple syrup, or add it to lemonade. You can control the heat of the simple syrup by leaving the habanero to steep for a longer or shorter period of time before straining it. Just give it a taste and adjust to your personal preference. PS – It’s the weekend, and THAT was one of our reasons on the above list to have a cocktail. So I believe you should make one of these delicious Grapefruit Habanero Margaritas today. Cheers! 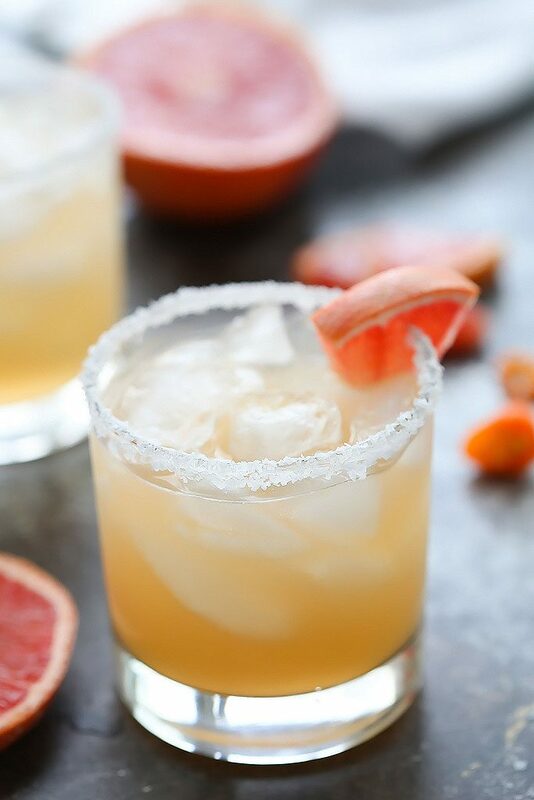 This Grapefruit Habanero Margarita is the perfect spicy cocktail for sipping on summer days! In a small saucepan, combine the water and sugar. Heat over high heat, stirring so that the sugar dissolves into the water. The mixture will go from milky white to clear. At this point, add the sliced habanero. Allow the mixture to come to a rapid boil, and then immediately turn the heat down so it just simmers. Let it simmer for 10 minutes, and then remove from the heat. The syrup will reduce and thicken slightly, and will take on a slightly orange tint. Allow the syrup to cool (about 30 minutes). Remove the pepper pieces and any stray floating seeds, and discard them. Run a lime wedge along the lip of your glass and dip in salt to cover the rim. Combine the tequila, grapefruit juice, triple sec and simple syrup in a cocktail shaker. Shake to combine and strain into a salted margarita glass. Add ice cubes and serve. Yum!!! I want to try this! Perfect for hot summer nights Susannah! Not a big drinker, but that looks amazingly tasty (replacing the alcohol with sprite)… and refreshing! That would totally work – Faux cocktails are just as yummy! Great recipe! Pinned and yummed! Thanks Richa – These margaritas are perfect for summer! If I close my eyes, I can almost taste the tangy, spicy flavor in my mouth. What a great cocktail recipe. The habanero and grapefruit make a great combination for hot summer nights!!! 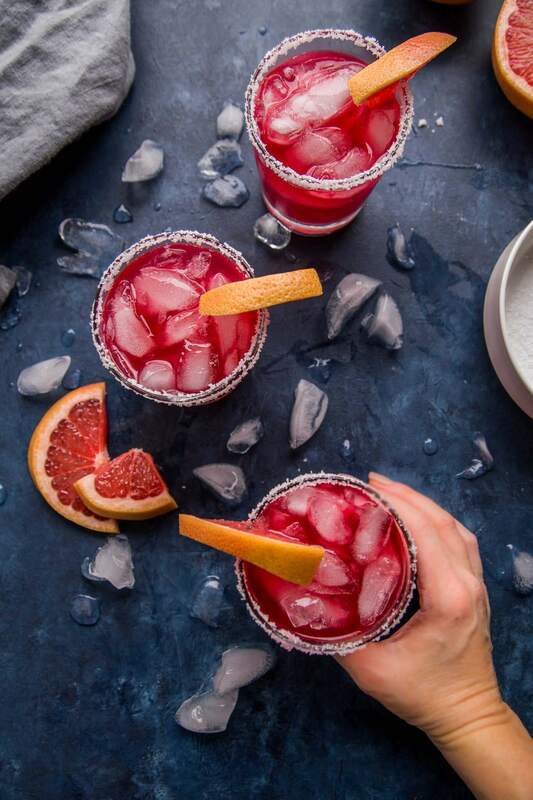 I love grapefruit and I’m a huge magarita fan, so I can’t imagine a better summer drink:) Now, if only I would finally buy those citrus salts – I could finally make a fabulous margarita at home instead of just ordering them every time I go out for drinks. 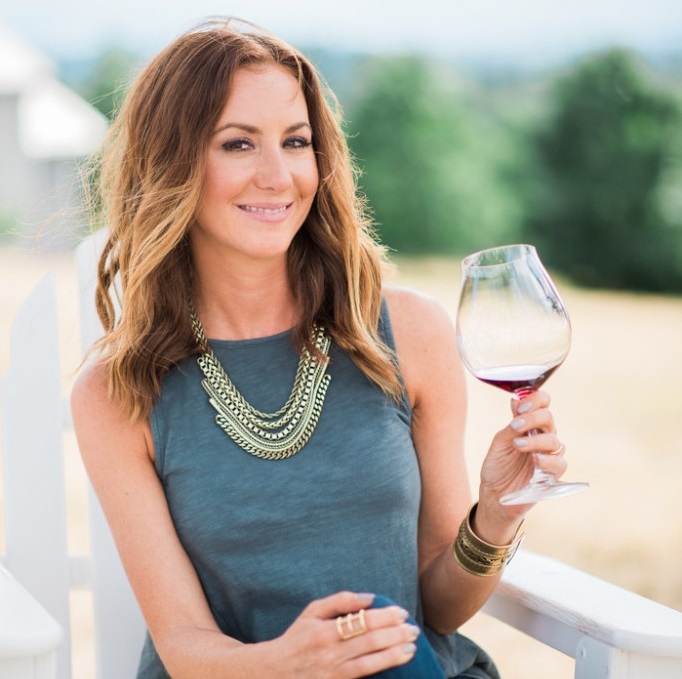 Laura – Don’t buy the citrus salts! Make them – It’s EASY!!! And, cheap!! !